In the last 5 years, few people had high-deductible health plans. Now, 1 in 5 American workers do. HISI expects that combined drug expenses will account for more than one-fourth of plan sponsors’ total annual health care costs within the next few years. Expert guidance is needed to manage the fastest-growing piece of health care spend. Drug trend reports for 2014 showed a 13.1% increase in drug spend – a rate not seen in more than a decade. Looking ahead, the future is being driven by specialty drugs. These drugs are unequalled in their complexity, cost and potential to change lives. For example, the newest hepatitis-C drug costs about $85,000 for the full 12 week treatment, roughly $1000 per pill. How do employers decide if the specialty drug is worth the cost for their employees? How do employers balance their health spend? These are difficult choices that an experienced Third Party Administrator like HISI can help you monitor, navigate and propose alternatives – including PHARMACY DRUG CARVE-OUT! HOW DOES PHARMACY DRUG CARVE-OUT WORK? Insurance Carriers use the prescription drug portion of a medical benefits package as a major profit center. By “Carving-Out” Pharmacy Benefits the client saves money without reducing benefits. HISI matches the existing plan side-by-side and manages the account so that the employer only pays for what they actually use. Our administrative fees are only a fraction of what the large carriers charge and therein lies substantial savings. The account then can be fully-insured or self-funded with or without Stop-Loss Insurance. HISI has negotiated contracts with the PBM’s that are the most competitive in the industry, also a cost reduction factor. We have partnered with the most knowledgeable inside people in the business. PBMs offer a wide range of benefit management services for corporations, insurance companies, unions, government employee groups, and managed care organizations. The key function of a PBM is to enable a plan sponsor’s employees to obtain covered medications safely, conveniently, and less expensively. HISI has negotiated the most competitive drug cost rates and rebates in the PBM industry. WHAT IS THE VALUE OF CARVING OUT PHARMACY DRUGS FROM HEALTH BENEFITS? In the short and long term – COST CONTAINMENT. A comprehensive carefully designed drug benefit should result in lower cost for our clients. HISI carefully monitors utilization and cost and also provides cost effective alternatives whenever possible. 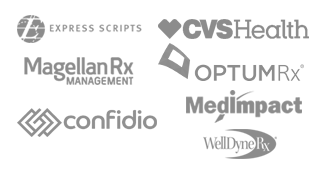 HISI has the most competitive contracts in the industry with the 2 leading national PBM’s – Express Scripts and CVS/Caremark. OUR BROKER PARTNERS HAVE AN ADVANTAGE ON THE COMPETITION! Pharmacy Brokers and Consultants – Let us show you a unique benefits cost reduction tool for new and existing clients – PHARMACY CARVE-OUT. We will assist you in presenting this option to your clients – from Power Point presentations to easy-to-follow spreadsheets showing cost reduction options. We can create a custom plan that will fit perfectly with any client’s needs. By separating pharmacy from medical benefits, there are substantial savings for the client that will be carefully monitored and managed by our staff. Stop-Loss Insurance can be added to guarantee cost savings in the event of catastrophic claims. This can be accomplished with no reduction in existing benefits coverage. THE BOTTOM LINE: The client saves money and you, as the broker or consultant have a unique marketing edge over your competition! Contact our office for more specific details.